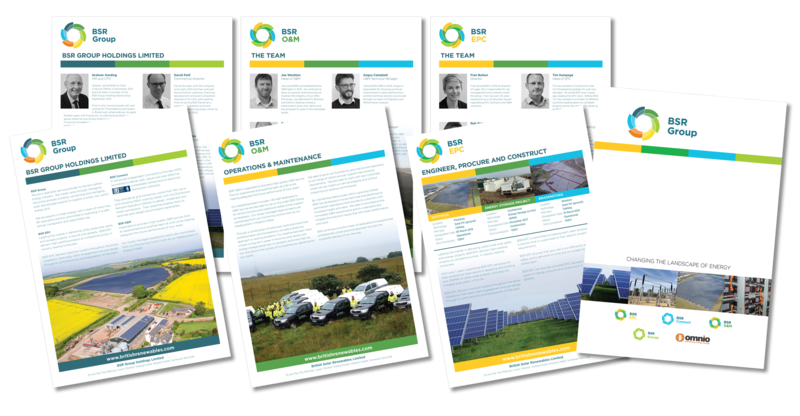 Working with the Marketing Team at BSR, the brief was to create Literature to promote each of the 4 divisions for use at Trade Shows and in conjunction with Tender Bids. An oversized A4 folder was also completed to hold all the inserts. Biography’s of the members of each team were also included. The Brochure Design was developed for use within Trade Marketing. Our client wanted an editorial look for the brochure based around end useage. The 20-page brochure design covers all of the areas that Gordon Low trades in. These include: Pondliner, Custom Made Liners, Water Containment and Swimming ponds featuring excellent photography. In addition, the brochure design also includes product listings for the aquatic trade. Customers found the brochure at the Aquatic Trade Show held in Telford where Juice Factory also designed the Gordon Low Exhibition Stand. 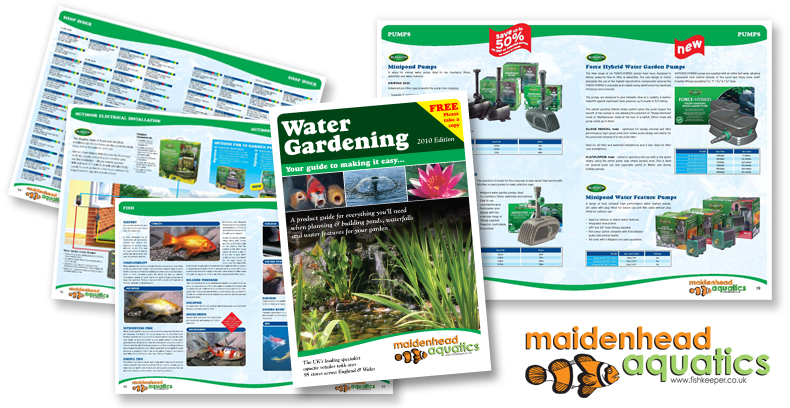 The Brochure Design for Maidenhead Aquatics consisted of 2 brochure designs. One for the outdoor market Water Gardening. In addition the second was for the Aquariums. 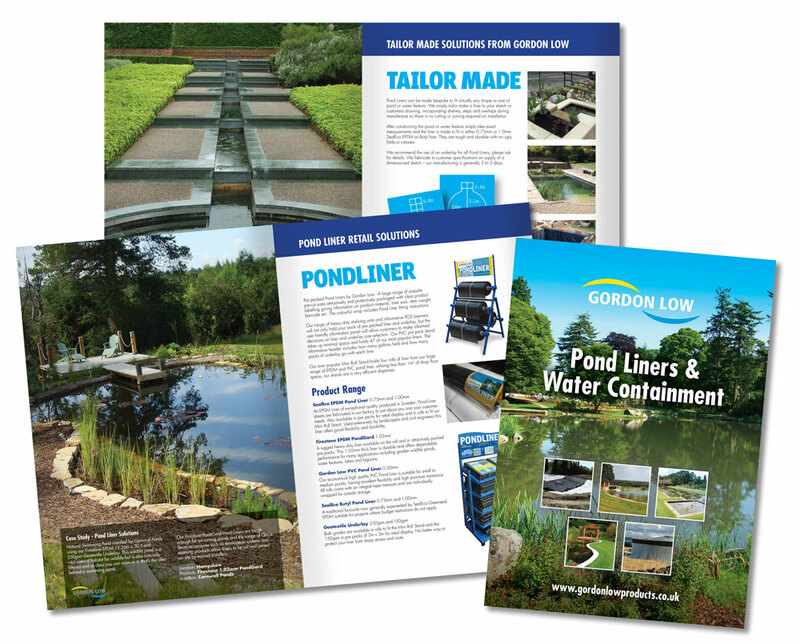 As a result, the A5 size brochures give information on everything you need to install and maintain a pond. Along with the range of aquariums, pumps, filters and all the accessories required for a new installation. The brochure design has been created to work alongside the Point of Sale material. 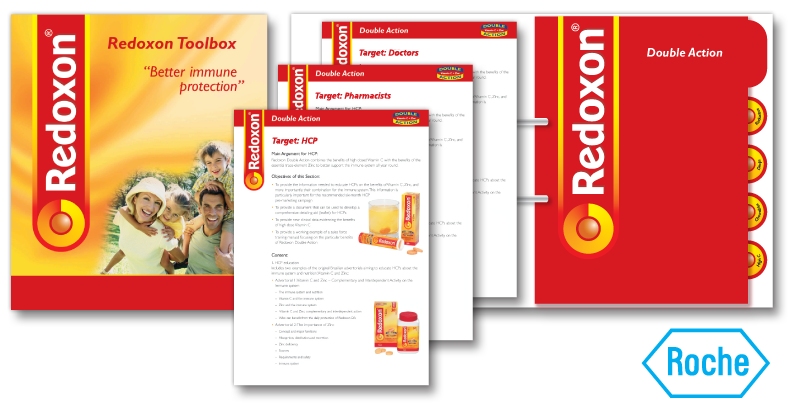 The brief was to develop a Marketing Toolbox for the Global Brand Redoxon. The purpose of the Manual is to provide the different markets with a complete range of presentation & promotional material. In addition it was designed to enable the brand to be uniformly presented. The 120-page document and toolkit CD was distributed to the 50 or so International Roche offices.